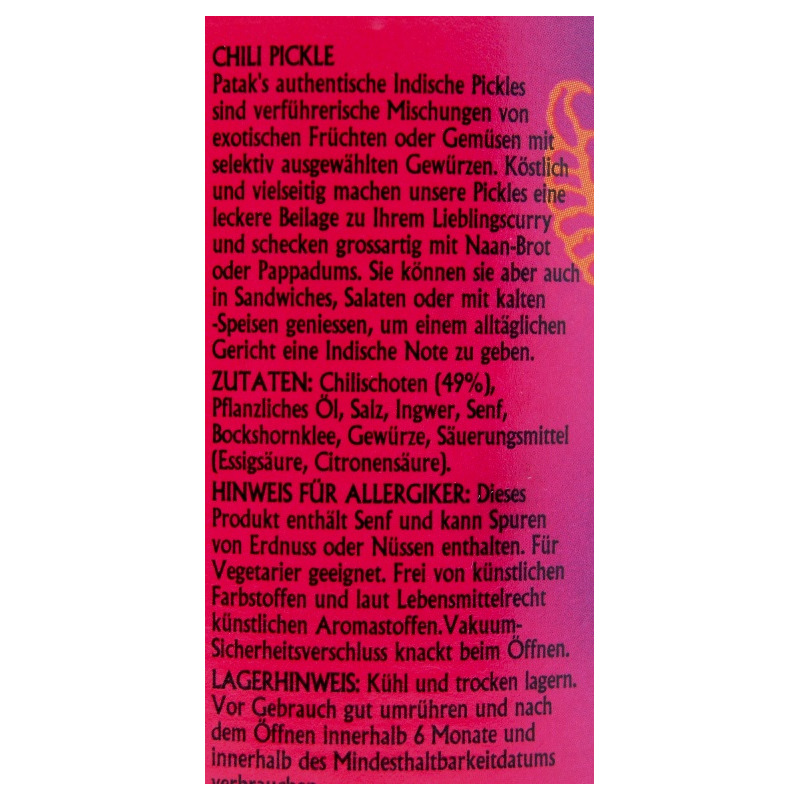 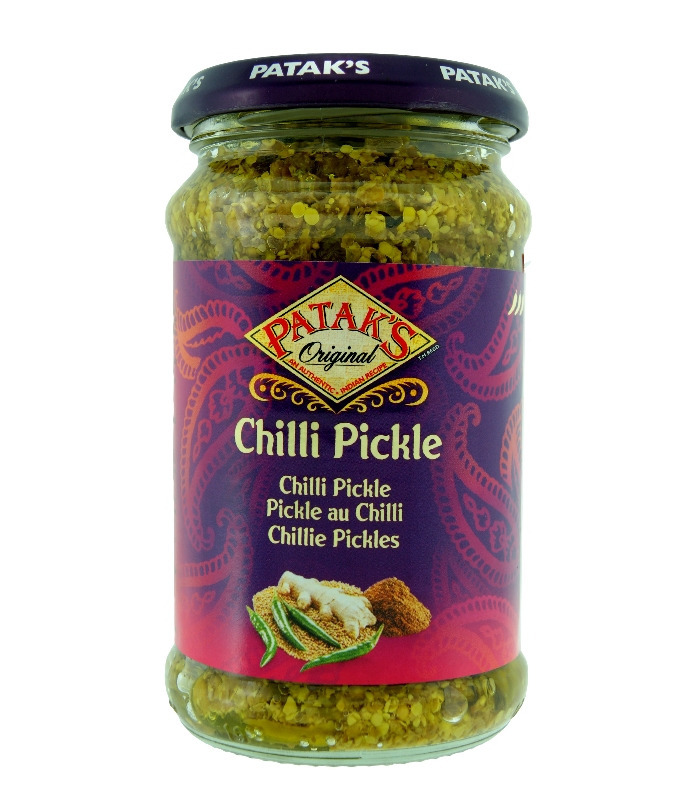 Patak’s Chilli Pickle is a fiery blend of green chillies with aromatic spices. 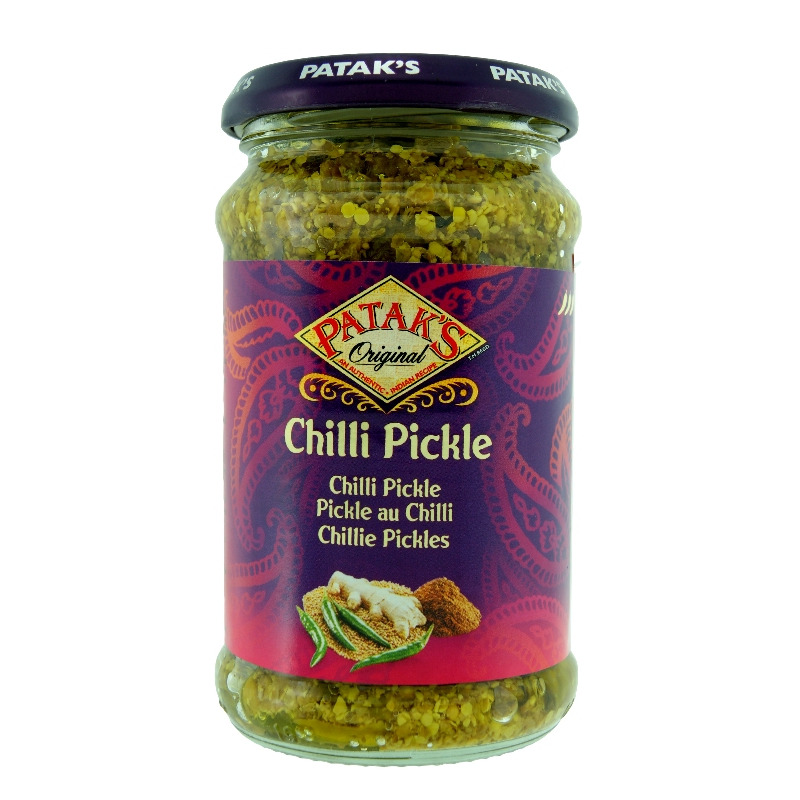 Serve it with your curry and add spice and energy to the meal! 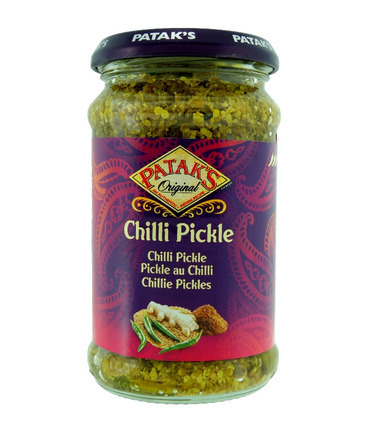 It is the perfect accompaniment with snacks like mathri, khakhra, samosas, kachoris and other mouth-watering, tea-time delicacies. 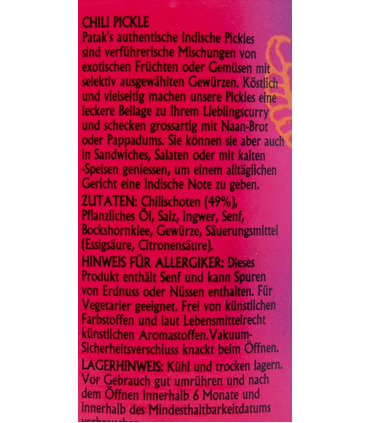 Or just fry a poppadum, dip it in the pickle and take a crunchy bite. Patak’s Chilli pickle is spicy.